Perry is traveling vicariously in some rarefied circles. One of Perry’s enthusiastic new fans is Elizabeth Dietz, a fashion designer. 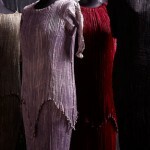 Elizabeth thought that Perry reminded her of the “Delphos” dress, made in 1907 by designer Mariano Fortuny. I have to agree with Elizabeth’s description of the dress as “Perry-esque.” Wow, Perry – who knew? The two photos were sent to me by Elizabeth. 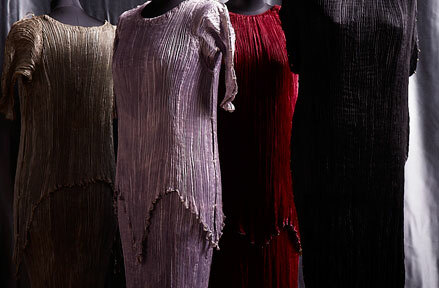 The first is of “Delphos,” and the second is of an array of Fortuny dresses. Thanks very much, Elizabeth. 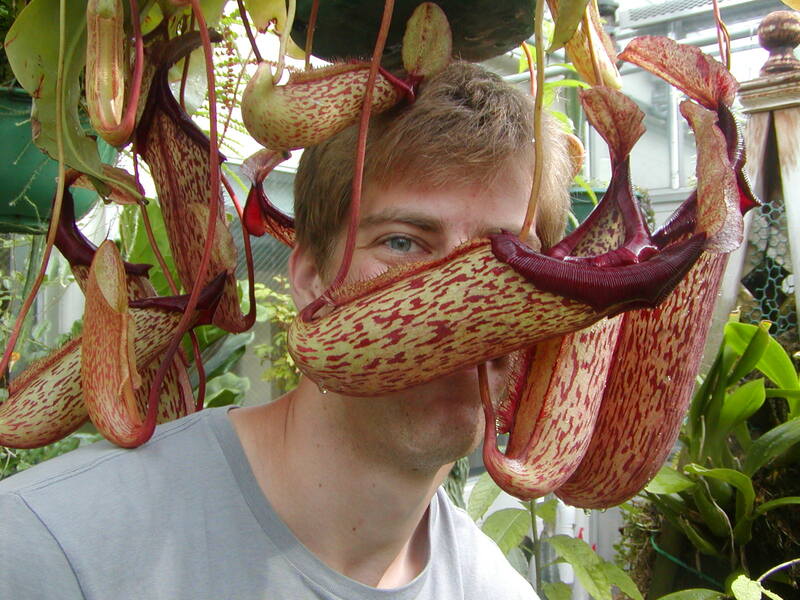 Elizabeth was also taken by the pitcher plants (carnivores…yes, yes they are) of the genus Nepenthes that are in the adjacent room of the greenhouse, expertly grown by greenhouse volunteer worker and Perry Lollapalooza volunteer Sam Conlon. 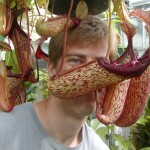 These plants have provided many photo ops, and I’ve included one, of Nick Murray, one of our official human Perry scale objects. I noticed one day that the volume defined by the hanging pitchers is about that of a human head…photos followed. Click on the thumbnails for full viewing of the photos. Thanks, Irah. I’m glad that you like this particular post, since it’s unique in the history of Perry.